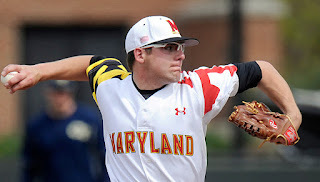 In 2016, the Red Sox drafted right-handed pitcher Mike Shawaryn in the fifth round out of the University of Maryland, College Park. Since then, he has steadily improved his craft—striking out 11.3 hitters per nine innings pitched in 2017 at two different Single A levels. According to Christopher Smith of MassLive.com, Shawaryn is likely to start 2018 at AA Portland. But the other interesting thing about the pitcher is his love of music—and his ability to play a mean jazz saxophone. Shawaryn has loved music since he was a kid and gravitated toward the sax in third grade. Depending on how he does with the Sea Dogs, Shawaryn could provide some late-season depth for Boston in the bullpen or as a spot-starter in the rotation.